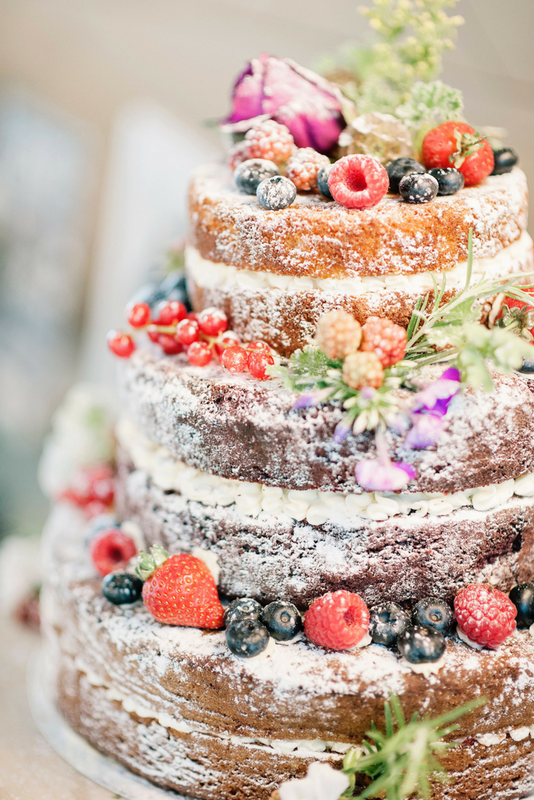 The traditional wedding cake used to be typically frosted with white icing, but in the last few years we’ve seen a number of new trends enter the market and one of our favourite styles is Naked Cakes where cake design gets a serious make-under. 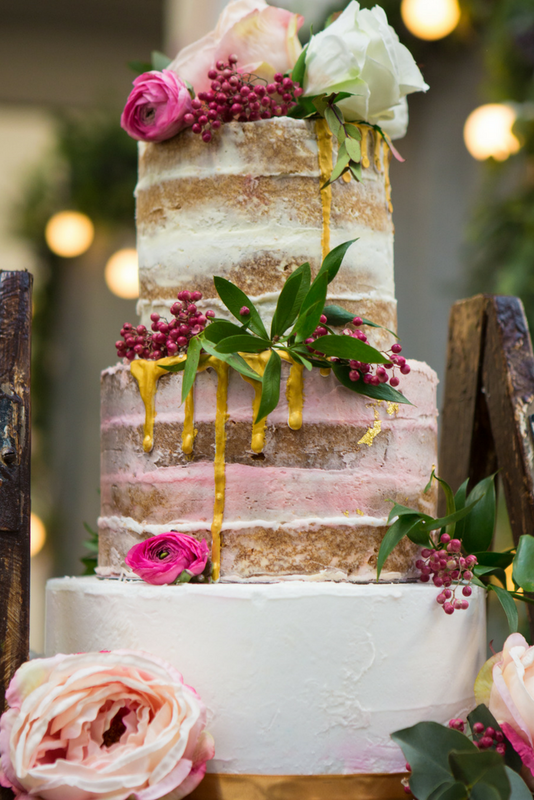 We spoke to Lauren Delpech from Frenchmade Cakes about her naked cakes and pared-down creations that forgo an outer layer of buttercream so that the texture of the cake and the colours inside are put on show and are adorned with a beautiful display of fresh flowers. How did you first venture into the world of cake decorating? 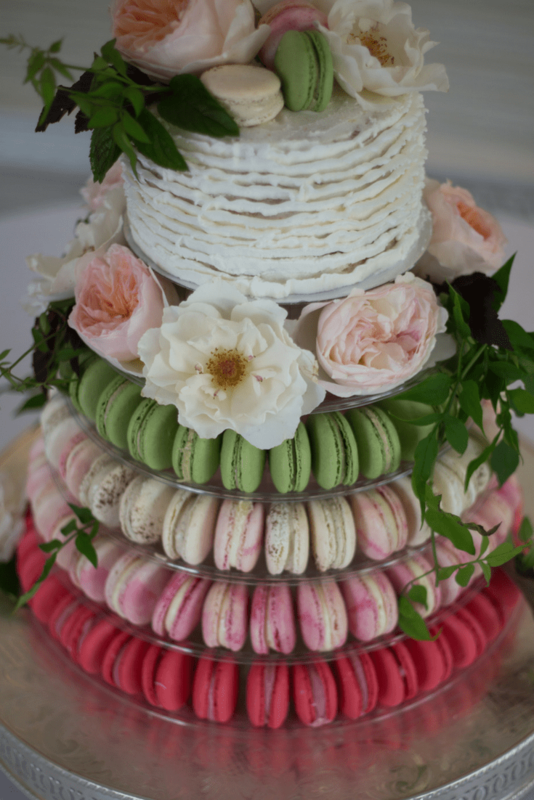 As a student, my part time job was to work in a bakery in France, so I have always loved being around pretty cakes. After a 14 years career as a French teacher, I decided to go back to my first passion: Cakes! How has your French background influenced your work? I come from Provence so this is what has influenced the fact I specialise in rustic inspired cakes incorporating olive tree branches, rosemary and lavender into my designs. 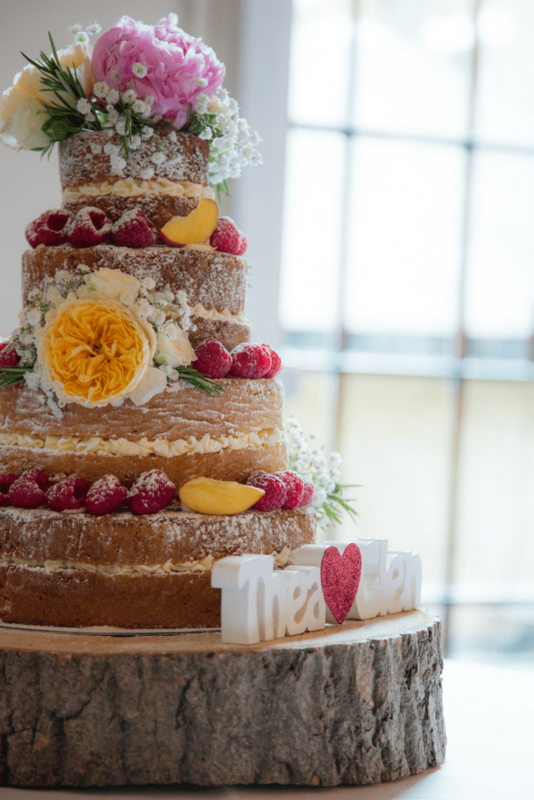 You’re known for specialising in naked cakes. Can you explain what this means? 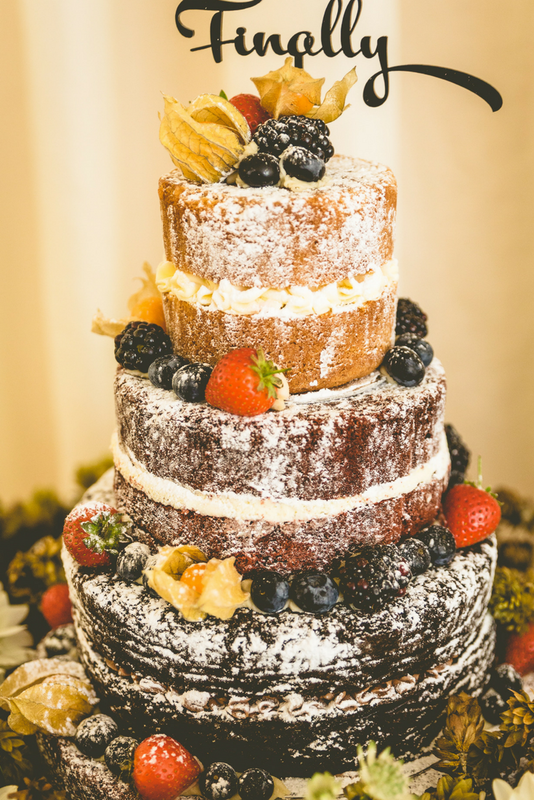 Naked cakes are made with no fondant, just homemade, scrummy sponge based cakes that exposes the delicious flavours inside. They are usually decorated with fresh fruit and flowers. You’ve worked on some amazing photoshoots. Can you tell us a bit more about them? We LOVE styled photoshoots. The idea is to gather a group of talented wedding suppliers (photographers, florists, dress designers, stylists, cake designers, make-up artists etc) who create something beautiful in their area of expertise around a theme. The photoshoot is then featured on wedding blogs and magazines to give couples inspiration on how to prepare for their big day. Where do you get the inspiration for the design of your cakes and what is the design process for creating your cakes? As well as my Provence background, my inspiration comes from spending hours researching on Pinterest or simply the world around me, walking down the streets of East London. With all that fresh fruit and cream in your cakes, you must be putting the finishing touches to your cakes at the last minute. How do you avoid stress? All our cakes are assembled and styled on the day of the wedding day at the venue for freshness. We ensure we get there plenty of time in advance to avoid stressing over the cake being ready when the couple and their guests arrive. 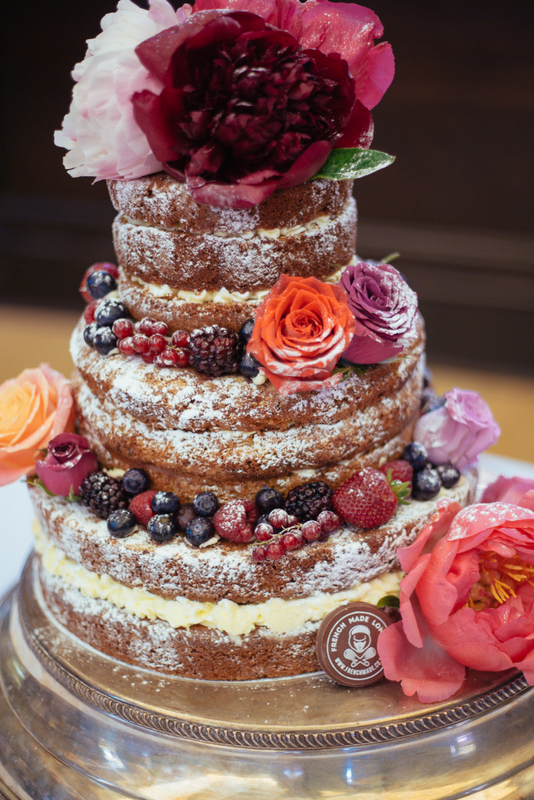 How do you see the trend of naked cakes developing? 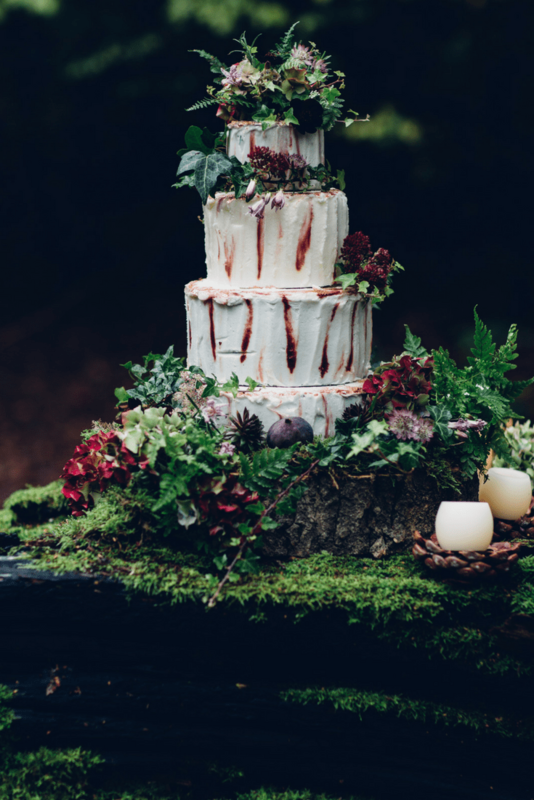 I think just as more traditional wedding cakes don’t go out of fashion that naked cakes will always be popular but of course, trends are changing and cake designers like ourselves need to catch up and incorporate more trendy elements. At the moment, we design a lot of rustic inspired cakes with gold leaves and watercolours painted on icing. Do you have any plans for the future that you’d like to share? Simply carrying on playing an important part in making lovely people’s events a great success. We LOVE it!